This month, Tourism Kamloops attended the 2nd Annual IMPACT Sustainability Travel & Tourism Conference in Victoria. This conference addressed Sustainability in its various diverse and evolving approaches. Delegates from across Canada as well as a few from the US and Australia gathered to dive into the state of the global visitor economy with a focused lens from the local perspective. I am going to share key points as delivered by Walt Judas, CEO of Tourism Industry Association of BC in their recent newsletter; however, I’d like to highlight how Tourism Kamloops as a DMO fits into this discussion. More so than ever before, Destination Marketing Organizations (DMOs) are evolving to consider and address sustainable practices and needs on behalf of the destination. Thus, an evolution to a DMMO – or Destination Marketing and Management Organization – is appropriate and timely. The Management descriptor places emphasis on how our day to day operations can proactively contribute to greener practices – recycling, composting, lowering emissions – however, we also have a significant role to play when considering future development of our destination, understanding carrying capacities, seasons for opportune growth, sensitive environments, cultural sharing, accessibility for people with disabilities as well as good governance and dedicated funding to continue our good work. While you might not attribute parallels between mass tourism issues globally and tourism growth in Kamloops, we need to be aware and conscious of the decisions we make today and their effects on our future. Tourism is the largest and fastest growing sector globally and in British Columbia. To reap the benefits of the vast tourist dollars, we need to recognize that we are all stewards of our destination and have an active responsibility to plan beyond today. 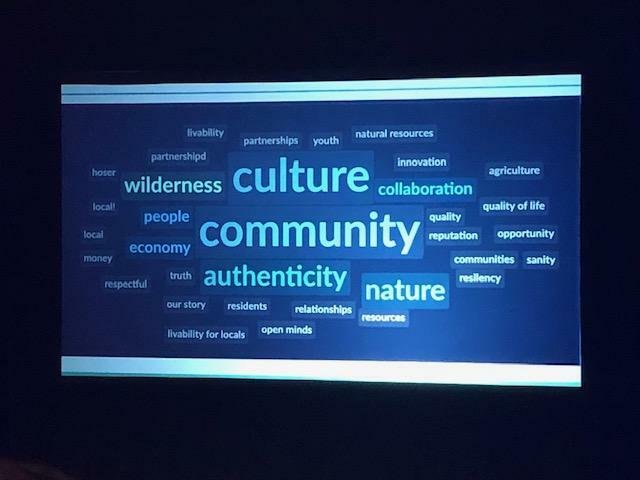 Tourism Kamloops boldly recognized Sustainability as a key platform in our 5 year strategic plan and has dedicated efforts in the past 3 years to evolve our organization’s sustainable practices and act as a conduit to industry to consider sustainable initiative in their businesses. To date, Tourism Kamloops has received Silver designation from Green Tourism Canada, have established the city as the first BC Bee City, worked in partnership with the City of Kamloops to plant a community garden at our Visitor Centre location, sit in an advisory position on the Impact committee, Director for the TOTA Biosphere Adhesion and provide electric vehicle charging stations within Canada’s Electric Highway. If you are interested in learning more, please let us know. There are many small steps that make a big difference. The number of women in tourism leadership positions continues to grow.